Pilates HQ’s dynamic and fun reformer classes combine the core-strengthening and muscle-lengthening benefits of traditional pilates and the toning effects of resistance training. This results in stronger, longer and leaner muscles and improved posture and flexibility. Our sequences of exercises are designed to progressively work muscle groups to fatigue, burning calories rapidly to slim and sculpt the body and boost endurance in record time. Our diverse team of talented trainers each offer their own unique style and expertise to help you achieve your fitness goals. With classes running from 7am to 9:30pm, there is a class for everyone. You’ll love how you look and feel! Our beginner class is a gentler pace class to introduce you to the reformer, breathing techniques and how to isolate and activate your muscles most effectively during the workout. 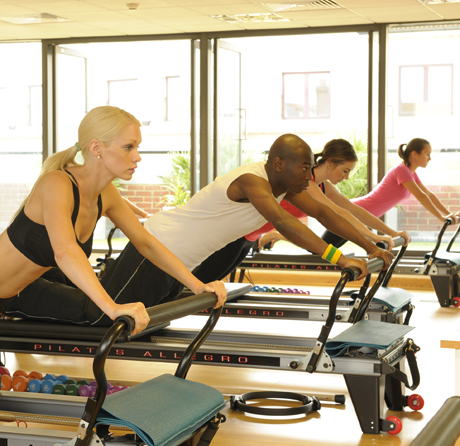 If you are new to reformer pilates we recommend that you come to at least 4 beginner classes. Our intermediate class is a faster pace and more intense class which builds on the technique learnt during our beginner classes. To participate in our intermediate classes you should have attended at least 4 of our beginner classes, be comfortable with the reformer and understand how to isolate and activate your core muscles correctly. 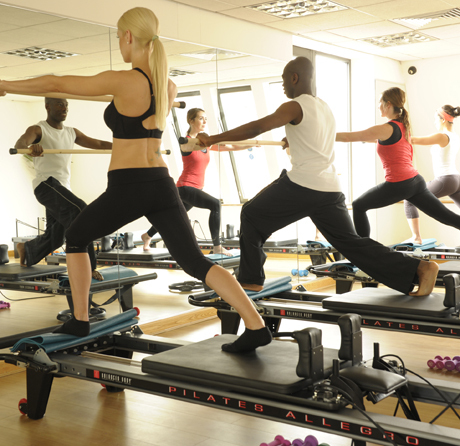 Pilates HQ’s cardio pilates advanced class uses ‘jump boards’ to add high energy cardio exercises to the pilates session. The jump boards are fitted to the base of the reformer beds and will allow you to perform rapid calorie burning ‘jump’ sequences with appropriate spring tensions off the padded jump board. This seriously energetic yet low impact workout will strengthen your abs, legs and gluts and is guaranteed to get your heart pumping! To participate in this advanced class you should be experienced with the pilates technique and have good core awareness.